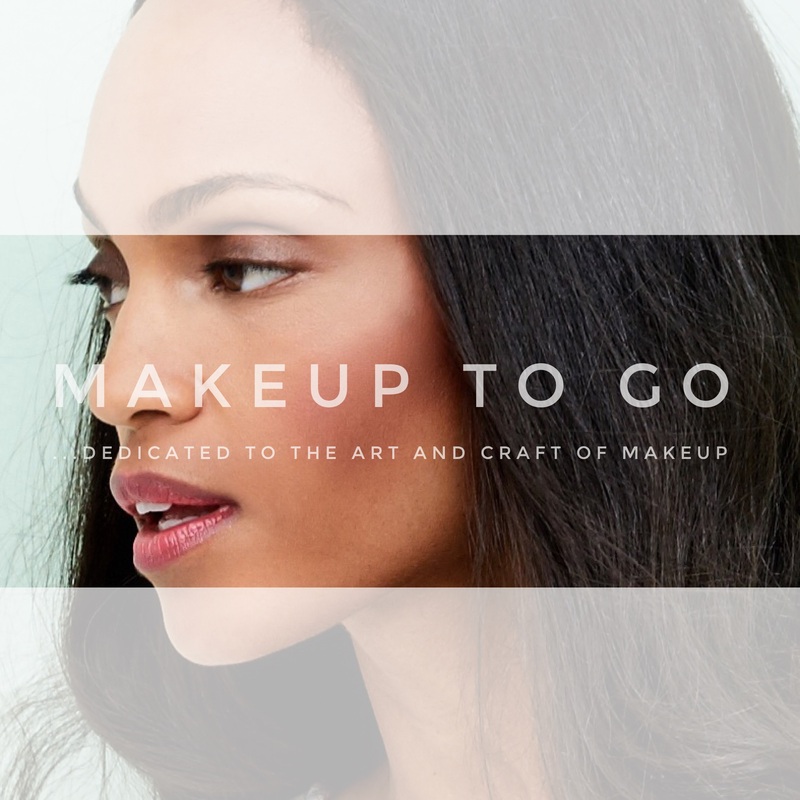 #MakeupMonday – The Basics: Foundations | Makeup to Go! 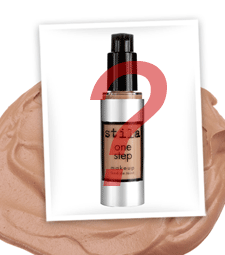 Ah foundation… to Foundation or not Foundation. That is the question. Well the correct answer, in my ever so humble opinion, is a resounding: It Depends. It depends on a variety of factors, actually. Is this for everyday or for photography? If it is for photography what type of photography and what type of finish do you want? If it is for everyday what type of skin do you have and what kind of coverage do you need? Then there is the issue of matching the color properly. No two women are exactly the same coloring yet manufacturers can only produce so many colors in a line, and for years women of color were left out completely (fortunately those days are long over and most lines include shades for all women). No wonder so many women have a hard time picking the right foundation! Well, I am here to share what I know in the hope that it will help you make a better choice on your next foundation purchase. The right makeup will make the world think you have fabulously perfect skin, even if you – like myself – do not. Also, I am focusing on true foundations, not tinted moisturizers. Personally, I think a Foundation is a better purchase because when you want fuller coverage you have it, but if you want more of a tinted moisturizer all you have to do is mix any of the below (except for the Powder foundation) with the moisturizer of your choice and voila! 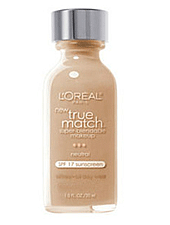 You now have a perfect color match Tinted Moisturizer. What I Look For: Every woman has her own taste, but in general – even in makeup for photography – I like to see skin. I am not really a fan of heavy foundation coverage and it certainly saddens me when I see someone wearing it in real life. This does not mean that I leave blemishes uncovered, etc. It means that I like to cover what needs to be covered and let the rest “breathe” in my photographic work, in my work with my “real life” private clients, and on my own face. My goal in general with makeup, and in particular with the Foundation, is for people to tell the woman YOU look great not your makeup looks great. As a professional artist I avoided mineral foundations for a long time because the high amounts of mica in most formulations caused an ashy appearance on dark skin tones and “kick back” on almost all skin tones. (Kick back is unwanted light reflection off the mica that makes the face look lighter than the rest of the body). Nowadays, I am pleased to say, there are actually a number of very good mineral powder foundations that work very well across a variety of skin tones, some even work for both everyday and for makeup for photography. I was thrilled when a makeup artist friend who worked for Bare Escentuals put me onto the Matte formula. I have been wearing it ever since (and as I’ve mentioned before I’m a darker hued African American woman so I can attest that it comes in shades for ALL beauties). The color stays true, being powder it helps keep my shine down (whereas traditional foundation – even Oil Free formulas – make me oilier), it can be applied lightly for lighter coverage or layered for fuller coverage and can even be used as a spot concealer AND it lasts all day. Brilliance. Allow me to re-iterate that I am referring specifically to the MATTE formulation, not the regular formulation. As we all know, I have become highly, highly impressed with the Youngblood Cosmetics line as a whole. 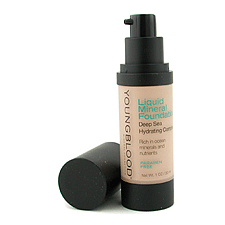 The foundation offers the benefits of mineral foundation in a liquid, hydrating formula. What I loved about it is it did not settle into the skin, which is great for anyone with uneven texture (from past acne, fine lines/wrinkles, etc.). It gives a natural, healthy finish with a subtle glow. 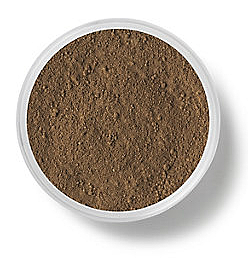 I have not yet tried it in a photographic setting yet but I know their powder mineral foundation works well for photography so I look forward to trying the liquid on camera soon. This was a great foundation. Stila billed it as a Primer, Concealer, Foundation and Powder all in one and for a change it actually was. Unfortunately Stila is discontinuing it as I mentioned in a previous article 🙁 If you click the link above there are still a few in stock and available but it looks like One Step is being replaced by a new foundation called Perfect and Correct. I’ll have more information on this new product once I have tried it. Everyday wear, limited photographic use – Light to Medium Coverage – good for all skin types. A student introduced me to this product, and I have to say I was impressed. I don’t know about the “patented color technology” which L’Oreal claims matches both tone and texture of the wearer’s skin perfectly but I will say that – assuming you choose the right shade, and it does come in a wide array of colors – the finish is a natural matte (without looking cake-y and dry), the colors err towards the neutral so they do not look too yellow, pink or red, and the coverage is quite good particularly compared to other drugstore brands. As I teach makeup for photography I saw this foundation photographed under basic lighting a number of times and the color and finish stayed true. I do not know about the durability or how it acts in different lighting set ups, etc. Therefore by “limited” photographic use I mean that while I do not know that I will be using it on any jobs anytime soon, I would certainly recommend it to a woman who was going to get basic portraits taken, or the like. Discovering this product was a pleasant surprise! Say you do not want a matte finish to your foundation and you prefer a bit of “youthful glow”. A youthful glow is a pretty look, but with the wrong product it can slide into looking greasy. 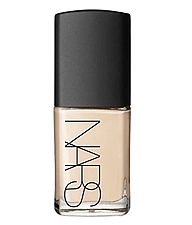 Nars’ Sheer Glow foundation is just what the name implies: it has a sheer coverage with a subtle glow to give the skin a touch of “pop” without going overboard. The finish is particularly great for dryer skins that tend to look dull. It is build-able if you need a bit more coverage, but it is primarily best for those who do not have a lot of imperfections to deal with and who just want to even out their skin tone and look polished. Everyone knows and loves Armani Luminous Silk Foundation for the gorgeous glow-y finish it gives to the skin. Face Atelier sees that glow-y finish and raises you with a formulation that is – in my opinion – more durable and long lasting, at a lower price point. This is a professional product full stop, meant for photographic use (you can see the list of credits of projects that use Face Atelier products on their website) but which also works well for the Everyday Woman. Like Armani the difference is that the Face Atelier foundation is silicone based. Silicone forms a breathable layer on top of the skin (unlike oil or water, silicone molecules are too large to go into the skin) creating an even, pore-less appearance with a natural glow. Use too much and it risks looking mask-like, but the right amount will have your skin look like never before. I have used Iman’s Second to None Cream to Powder foundation for years and when they added the Stick formulation to the line it went from good to Genius. Like Face Atelier, Iman Cosmetics Second to None stick formulation is also oil free and silicone based. What’s so genius about this product is this is actually a Professional product in consumer makeup disguise. What I mean is, most makeup artists prefer cream foundation because it is a more versatile product. 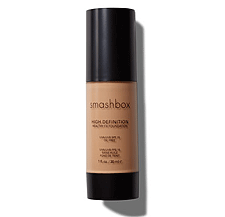 I can thin it and make it sheer coverage, I can build it up and make it full coverage. I can fully powder to make it matte or I can take advantage of the natural staying power of silicone and spot powder only for a more dewey finish. The world is my oyster with highly pigmented cream foundations. The other big deal about Iman Cosmetics is, of course, it was made for women of color so pretty much any shade you might need, from medium beige to the darkest of browns, is covered. This is a great great product. If you really prefer the texture and feeling of liquid makeup, but you want a fuller coverage look no further than High Definition makeup. Since Hi-Def cameras capture everything including skin texture, high definition formulations have to pack high pigmentation into thinner bases that will not look cake-like on camera. This means that whether you’re in the light of day or in front of studio lights, this foundation looks flawless yet natural. This would actually be a great foundation for Bridal usage. 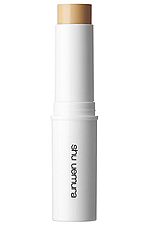 Shu Uemura Nobara cream is a legendary professional foundation. 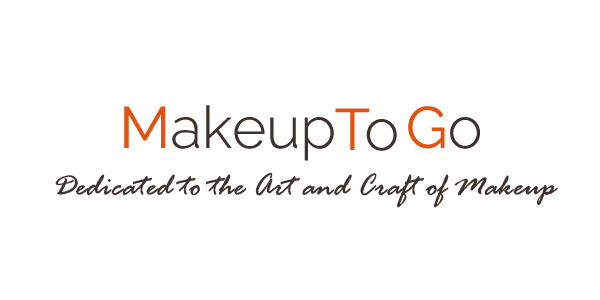 I actually think it is a bit heavy for everyday use, but makeup pros all over the world have worshipped this product for decades. Why Honorable Mention? Well, this used to be the Foundation of all Foundations and would have EASILY topped my list back in the day HOWEVER two things happened: First of all when the company was sold, they changed the formulation. The change of formulation was not a complete disaster. While it is definitely different – and I think the old formula is better – I do still like the new formulation. Secondly, however, they closed all the Shu Uemura stores and counters in the United States. 😐 SO even if you wanted to try it I do not know how you would since you can no longer test the colors and you would have to guess by looking at the colors online. Hmmm… looking at the site I see that they have also discontinued much the colors and the color selection is now quite limited. No bueno. RIP to one of the greatest products of all time.